Huw Rees | Bespoke Flower Girl Band…. At Huwrees Huwrees we love working with brides to create a look. 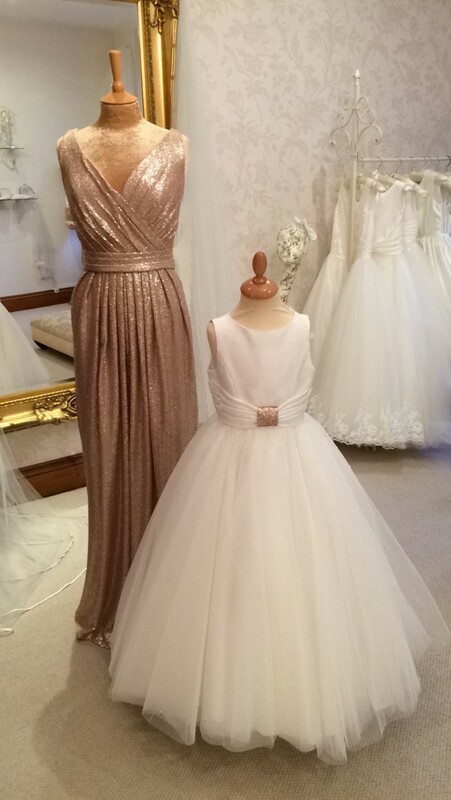 This beautiful flowergirl dress looks gorgeous with its bespoke sequin band at the waist to complement the Kelsey Rose…. Rose Gold full sequin dress.